If you have been experiencing unexplained weight gain or find yourself unable to lose weight despite all efforts, then the chances are that you may be suffering from hypothyroidism. Hyperthyroidism - This condition involves the overproduction of thyroid hormones T3 and T4. It is often accompanied by symptoms such as extreme weight loss, increased sensitivity to high temperatures, and hyperactivity. If left undiagnosed and untreated, this condition can be very debilitating and even fatal. 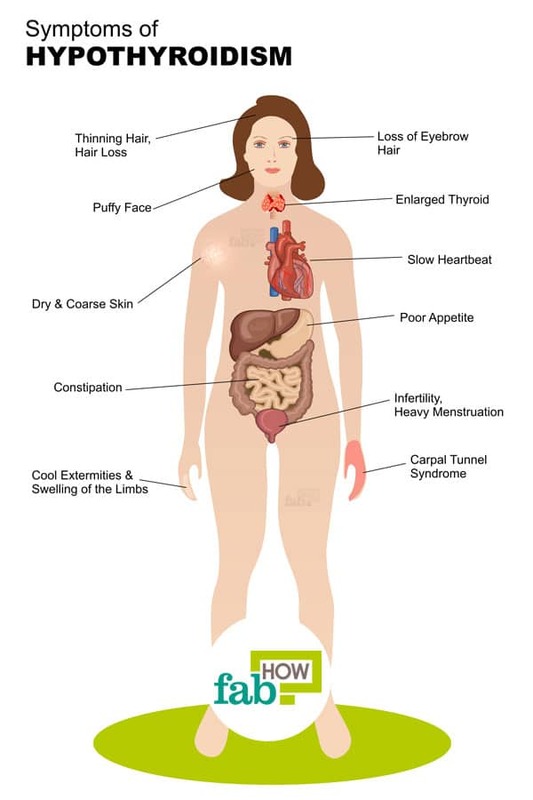 Hypothyroidism - As mentioned before, this condition is characterized by the inadequate production of T3 and T4 hormones. Continue reading below to learn causative factors, symptoms, and preventive measures for hypothyroidism. Thyroid surgery in case of thyroid nodules, cancer, or Graves’ disease. Autoimmune disorders such as diabetes Type 1, pernicious anemia, rheumatoid arthritis, celiac disease, and Addison’s disease. Congenital hypothyroidism or hypothyroidism that a baby is born with. Medications such as amiodarone, lithium, interferon alpha, and interleukin-2 can inhibit the thyroid gland from being able to function normally. Advanced age, especially if you are 60 or older. For babies – persistent jaundice, little or no growth, poor feeding habits, bloated stomach, swollen tongue, or a hoarse cry. Hypothyroidism cannot really be prevented; you can keep a vigilant lookout for any symptoms and take measures to prevent this condition from getting worse. However, it is very important to take the correct dosage as taking too much or too little can either lead to hyperthyroidism or continuation of hypothyroidism, respectively. Heart problems and raised LDL levels. Joint pain accompanied by obesity. In women infertility and birth defects in case of pregnancy. Thyroid scan or ultrasound to check for swelling or nodules. 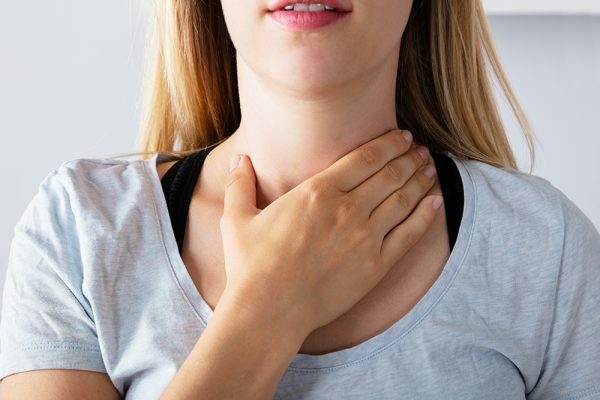 You can also use home remedies to successfully manage and treat hypothyroidism by sticking to diet-rich food that provides your body with the required nutrients for proper functioning and stimulation of the thyroid gland. Continue reading below to learn 10 home remedies that will help you successfully control and manage hypothyroidism. Coconut oil is one of the popular anecdotal remedies. It is rich in healthy saturated fats such as lauric acid and medium fatty acids. These fats provide a usable energy source that helps nourish your body, especially your thyroid gland to stabilize hormone production and correct conditions such as hypothyroidism. Coconut oil is especially recommended as a safe option for managing an underactive thyroid during pregnancy. 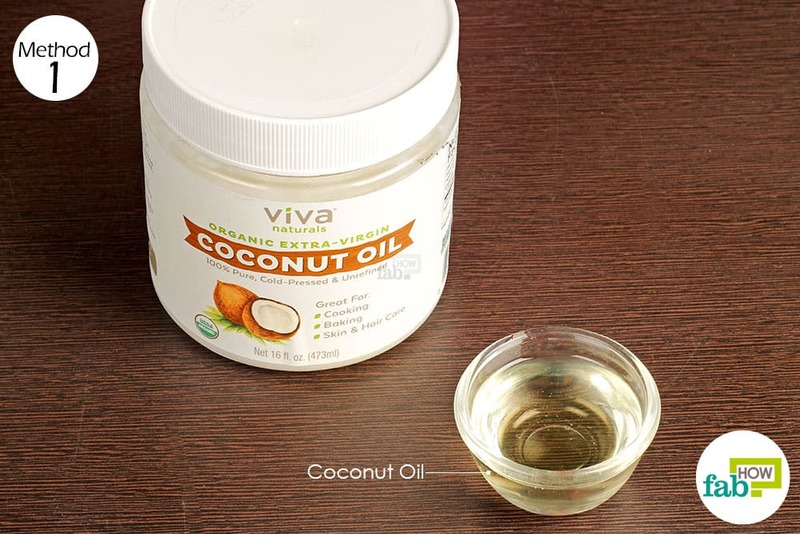 Use at least ¼ cup of pure organic coconut oil in your daily cooking or switch over to cooking in coconut oil entirely. Alternatively, you can also take 1 tablespoon of pure organic coconut oil once daily. You can also add 1 tablespoon in your smoothies, or drink it with tea or coffee. In case, you don’t have hypothyroidism yet but have a family history of thyroid disorders; you can still include coconut oil in your diet as a preventive measure. It has no side effects and instead provides you with benefits such as weight stabilization, improved energy levels, and healthy skin. Iodine is extremely useful and essential for your body as it helps in the functioning and regulation of your endocrine glands: the adrenals, pituitary, thyroid, gonads, pineal, and thymus glands. While taking iodine supplements can be extremely useful in the treatment of hypothyroidism, you need to get your urinary iodine measured done to find out whether you actually have an iodine deficiency. A simple DIY method to test whether you have an iodine deficiency involves simply applying a dot of iodine on your stomach; it should be the size of a silver dollar. If it is absorbed by your body within 12 hours and the dot disappears completely, then this indicates that you may have an iodine deficiency. However, follow this up with a proper medical test as well. 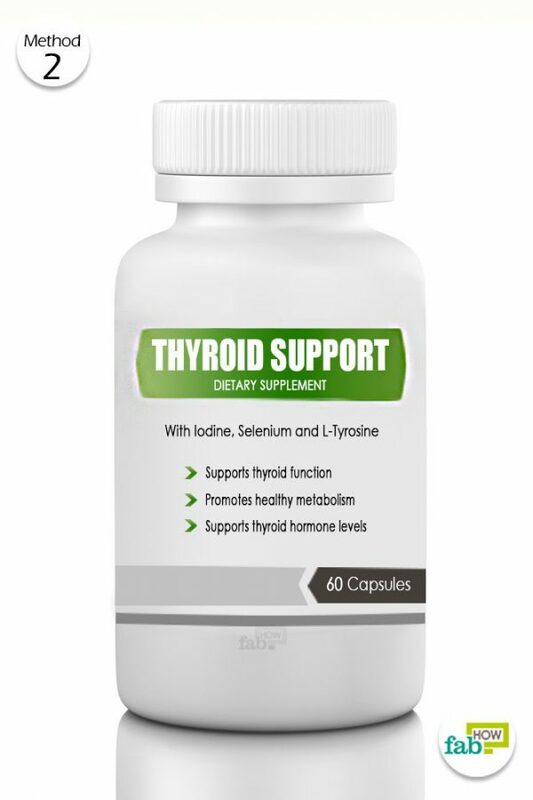 Taking iodine supplements without having the corresponding deficiency can aggravate or worsen autoimmune thyroid disorders such as Hashimoto’s and Grave’s diseases. A simple and easy way to prevent iodine deficiency is to use iodized salt at home for cooking. You can also consume iodine-rich foods such as seafood and fish, e.g., cod and haddock (though you should avoid bottom feeders such as shell fish and krill). Red meat and dairy products such as yogurt, milk, and eggs are also excellent natural sources of iodine. Red marine algae represent another safe option for oral supplementation of iodine. If you are going for commercial supplements, pick one that provides at least half of the recommended daily requirement. 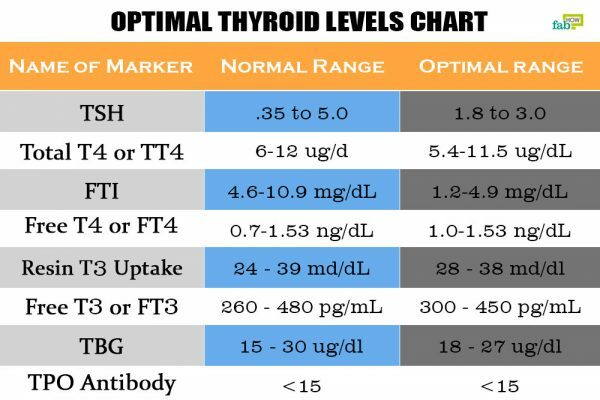 The best therapy to boost thyroid functioning involves an iodine supplement of 1 to 3 mg per day, combined with L-Tyrosine (100 to 500 mg per day) to boost hormone production. Note: Don’t use povidone iodine and do not orally consume iodine. Kelp is a highly beneficial seaweed belonging to the brown algae family and is extremely high in several nutrients and minerals required by your body, especially iodine. 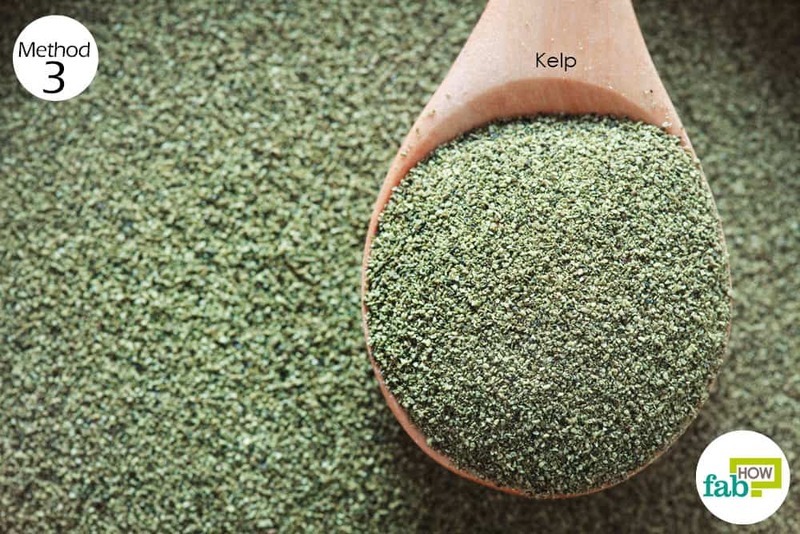 Take kelp supplements that clearly specify their iodine content; limit your daily intake to 150 mcg for iodine. You can also simply buy sheets of dried kelp from an organic food store and roast them for 2 to 3 minutes in the oven to enjoy a healthy salty snack. Or you can chop up the dried seaweed sheets and add them to soups or salads. Other options include taking raw dried kelp to brew tea or drinking tinctures diluted in water. Note: Make sure that your daily consumption of iodine via kelp supplements does not exceed the prescribed limit of 150 mcg a day. 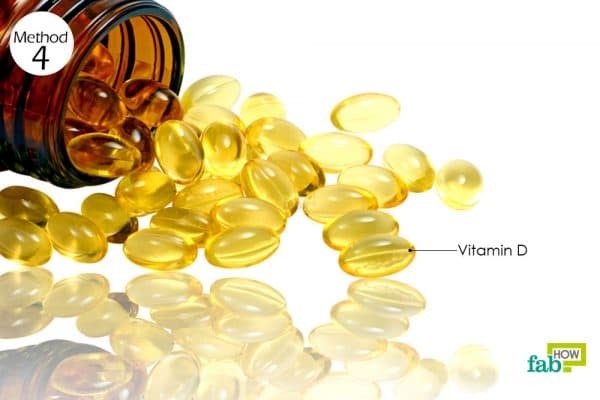 Vitamin D deficiency is a serious problem as it causes your immune system to weaken; this, in turn, can lead to autoimmune diseases and chronic infections. This vitamin is extremely vital for metabolism as it has to be present in sufficient quantities for the cells to be properly affected by the thyroid hormone. First get a blood test done to determine whether you are suffering from a vitamin D deficiency. Take vitamin D3 supplements rather than Vitamin D2 as D3 is naturally produced by your body in the sunlight. The daily recommended dosage is 35 ng/mL; take care not to exceed this limit. You can also get up early in the morning, i.e., around 5 am and meditate in your lawn or nearby park in the open; bask in the gentle sunshine and let your body produce the requisite amount of vitamin D naturally to enjoy good health. Apple cider vinegar helps in detoxification of the thyroid gland and regulates hormone secretion; thereby alleviating the symptoms of hypothyroidism such as obesity, bloating, and fatigue. 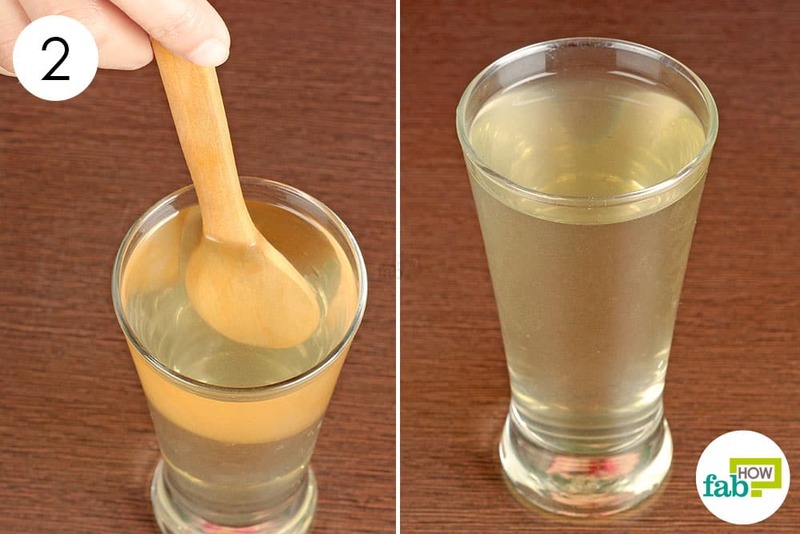 Additionally, this natural elixir also helps improve the body’s metabolism rate; you can drink diluted cider daily to improve your slow metabolism. Note: It should be noted that if taking levothyroxine, you should consult your healthcare provider first before taking apple cider vinegar. Although it can boost the effects when taken together, it can also cause the body to operate at a hyperthyroid level. Your healthcare provider may want to obtain more frequent testing if you're taking apple cider vinegar and thyroid medication at the same time. Pour 1 tablespoon of apple cider vinegar in a glass of warm water. If you have a sensitive stomach, then you can begin by taking 1 teaspoon in a glass of warm water and gradually work your way up to 2 tablespoons. Stir with a spoon to mix the apple cider vinegar and water thoroughly. Drink in the morning on an empty stomach to boost your health and metabolic rate. 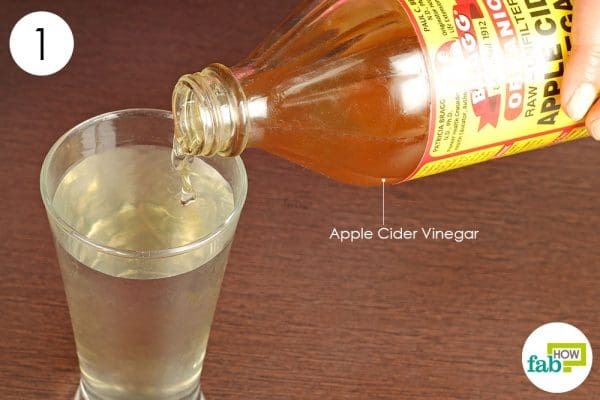 Drink diluted apple cider vinegar every morning to keep your hypothyroidism in check. Ashwagandha has long been used in Ayurvedic remedies to cure many disorders of the human body. Follow the recipe given below to brew a natural remedy for treating hypothyroidism. 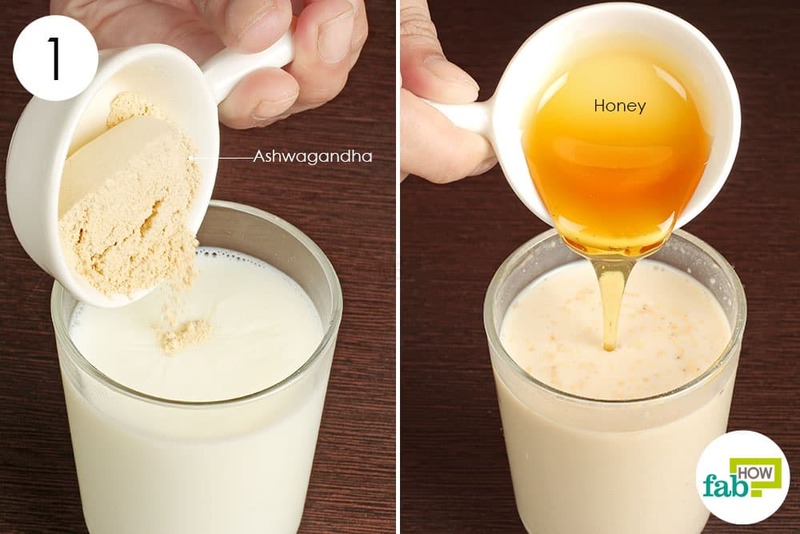 Add 1 tablespoon of ashwagandha powder to a glass of hot milk. Mix the powder and milk thoroughly. 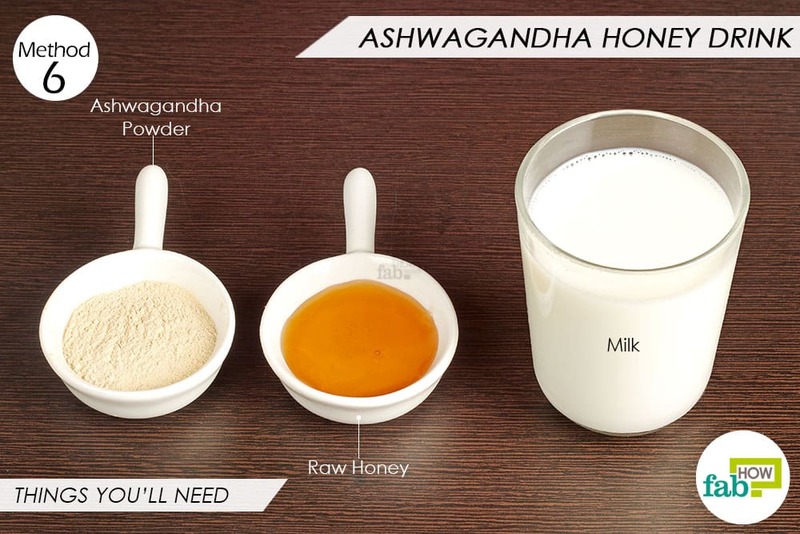 Add a spoonful of raw organic honey to the glass as well. Stir and blend all the ingredients together; let it cool down a little and then drink. 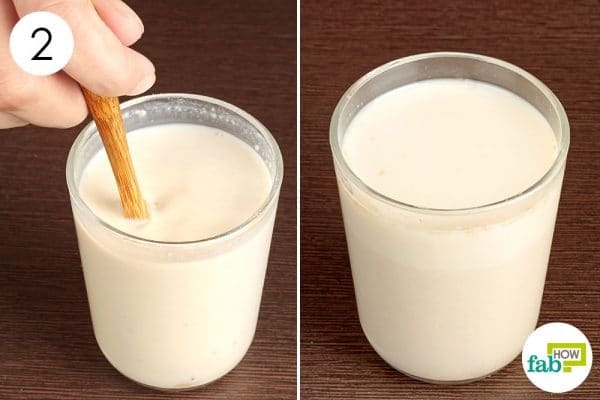 Drink this concoction once daily to keep your hypothyroidism under control; do not consume more than 1 tablespoon of this powder per day for long-term use. Alternatively, you can also take 600 to 1200 mg of ashwagandha root or leaf extract per day, i.e., 1 to 2 capsules for underactive thyroid disorder. Vitamin B12 is vitally important for a human body as it plays a crucial role in red blood cell production, DNA synthesis, protein conversion, synthesis of fatty acids, neurological functions, and nerve health. 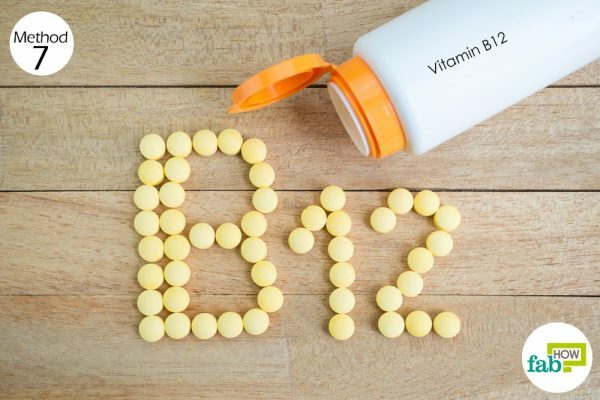 Because of this link to vitamin B12 deficiency, replenishing this vitamin can often lead to symptoms of hypothyroidism clinically improving. (8) Your healthcare provider can perform a blood test to check B12 levels in the body. Vitamin B12 cannot be naturally produced by the human body; it has to be consumed via food or supplements. Red meat, fish, poultry, seafood, eggs, and dairy are good sources of vitamin B12. Consequently, vegetarians or vegans are at high risk of vitamin B12 deficiency, while others have trouble absorbing it due to digestive disorders such as Crohn’s or celiac disease. The recommended daily dose of vitamin B12 is 2 to 3 mcg per day for adults. For a hypothyroid-induced vitamin B12 deficiency, you can take vitamin B12 shots or sublingual supplements of 1000 mcg or 1 mg once per day for 10 days; they are easily available in your nearby health and organic stores. 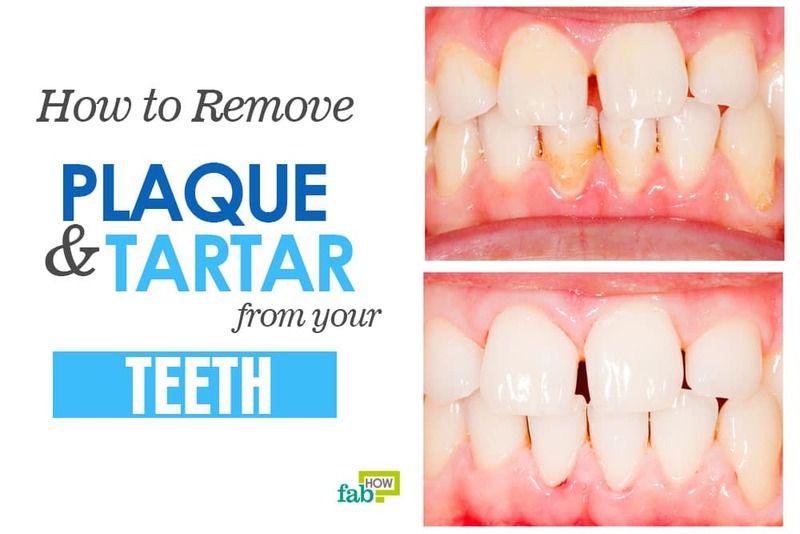 Put one shot under your tongue; it slowly dissolves and is absorbed into the bloodstream directly. After 10 days, you can reduce your dosage to a single 1000-mcg shot per week for 4 weeks and then finally 1 shot per month for the rest of your life. Bladderwrack is a common seaweed that can be used most effectively to treat hypothyroidism. For the treatment of hypothyroidism, the recommended dosage of bladderwrack is 600 mg, taken 1 to 3 times daily. Make sure that the supplement you pick has bladderwrack’s correct botanical name, fucus vesiculosus, printed on the label to avoid ending up with a cheap seaweed substitute. Get a supplement that states exactly how much iodine is contained in each capsule or tablet. Do not exceed the limit of 150 mcg iodine per day. Also, read the label thoroughly to ensure that the bladderwrack has been harvested from clean water and is free of environmental contaminants. To prepare an infusion, boil 8 oz of water and steep 2 to 3 teaspoons of dried seaweed in it for 10 minutes; strain and drink thrice daily. Note: Do not pair bladderwrack supplements with lithium or blood thinners. 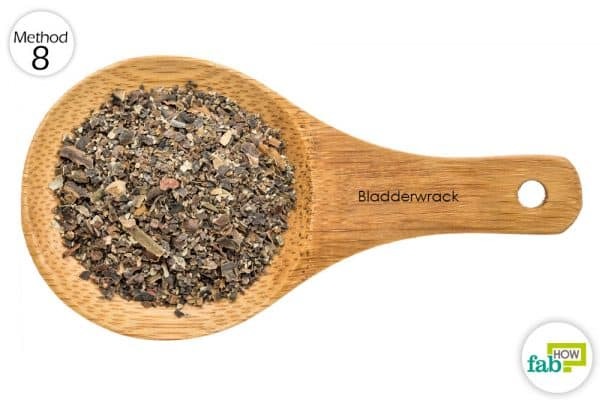 Do not take bladderwrack supplements if you are pregnant or breast-feeding. This natural mineral plays a key role in boosting your body’s metabolism and is most commonly found in water and certain foods. Selenium deficiency is often seen in vegetarians and vegans who abstain from meat. 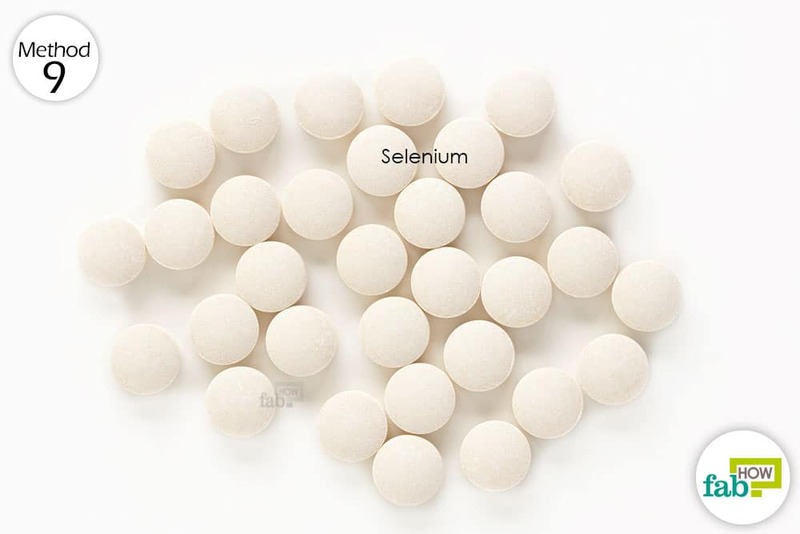 Animal proteins such as oysters, tuna, pork, beef, and lean meats, such as fish and chicken, are good sources of selenium. Vegetarian foods that are rich in selenium include whole wheat bread, kale, cabbage, cauliflower, and Brazil nuts. The daily recommended dosage is 200 mcg of selenium for adults in the form of selenomethionine. For pregnant women, the daily recommended dose is 60 mcg a day. Yoga postures can help you stimulate endocrine glands and regulate hormone secretion in your body. 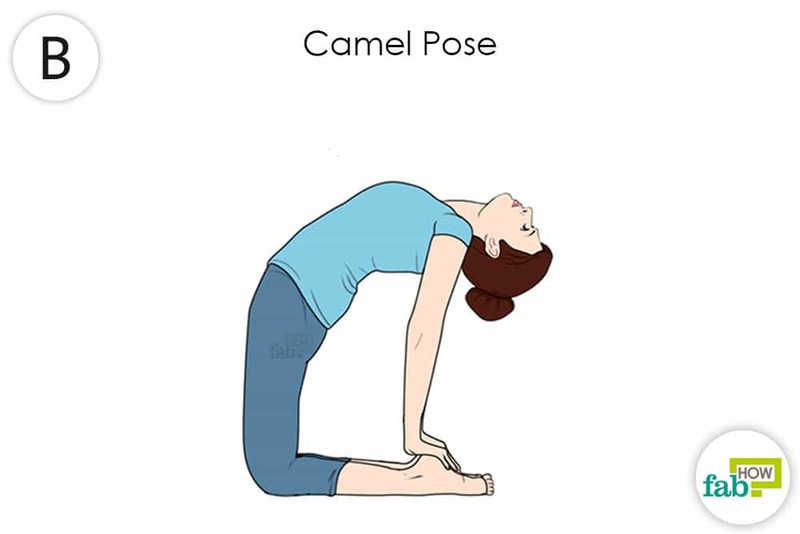 Given below are two yoga poses, the lion pose, and the camel pose, that are especially recommended for thyroid disorders. Kneel down on a padded surface and sit on your heels with your hands by your side. Place your knees apart at a comfortable distance. Place your palms flat on the floor in front of your knees, at least 6 inches ahead. Keep your back straight and focus your eyes toward the yogic third eye, i.e., the center of your forehead. Take a deep breath and roar as you exhale. 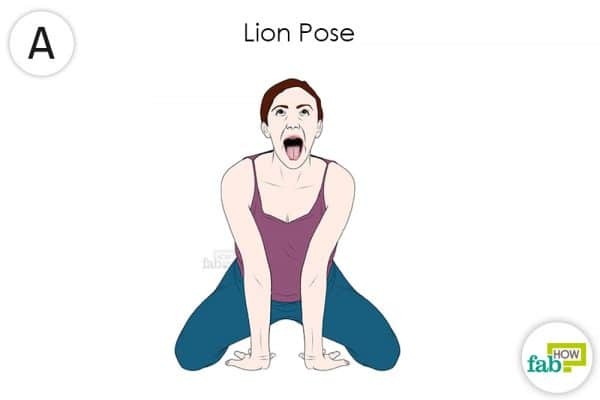 Hold this posture for 20 to 30 seconds. Repeat 5 to 6 times daily to regulate and stimulate the functioning of your thyroid gland. Kneel on a cushioned surface; keep your knees just below your hips and place your hands on your hips. Stretch your feet such that your soles are turned toward the roof. Inhale deeply and draw in your tail bone toward your pubic bone. At the same time, arch your back and move your hands down to your heels. Keep your neck in a neutral position; do not strain it or constrict your throat. Take a deep breath and hold the position for 20 to 30 seconds. Exhale as you let go of your heels; bring your hands to your front hips and straighten your back. You can lie down in the corpse pose after performing this exercise to relax your muscles. Get blood tests done for proper determination of iodine and vitamin deficiencies before you start taking any supplements. Eat diets rich in protein, calcium, and magnesium to manage hypothyroidism, i.e., mushrooms, whole grains, avocados, meat, fish, and dairy products. You can also try acupuncture therapy to help regulate an underactive thyroid gland. Gaitonde DY, Rowley KD, Sweeney LB. Hypothyroidism: An Update. American Family Physician. https://www.aafp.org/afp/2012/0801/p244.html. Published August 1, 2012. Kravets I. Hyperthyroidism: Diagnosis and Treatment. American Family Physician. https://www.aafp.org/afp/2016/0301/p363.html. Published March 1, 2016. Alessandro, Maria R, Corsello, Maria S. Iodine Supplementation: Usage "with a Grain of Salt". International Journal of Endocrinology. https://www.hindawi.com/journals/ije/2015/312305/. Published March 19, 2015. Zimmermann MB, Boelaert K. Iodine deficiency and thyroid disorders - The Lancet ... The Lancet. https://www.thelancet.com/journals/landia/article/PIIS2213-8587(14)70225-6/fulltext. Published 2015. Matola TD, Zeppa P, Gasperi M, Vitale M. Thyroid dysfunction following a kelp-containing marketed diet. BMJ Case Reports. https://casereports.bmj.com/content/2014/bcr-2014-206330.abstract. Published October 29, 2014. Kim D. The Role of Vitamin D in Thyroid Diseases. International journal of molecular sciences. https://www.ncbi.nlm.nih.gov/pubmed/28895880. Published September 12, 2017. Sharma AS. Efficacy and Safety of Ashwagandha Root Extract in Subclinical Hypothyroid Patients: A Double-Blind, Randomized Placebo-Controlled Trial. Mary Ann Liebert, Inc., publishers. https://www.liebertpub.com/doi/10.1089/acm.2017.0183. Published March 2018. Stansbury J, Saunders P, Winston D. Blue Flag, Guggul, Bladderwrack and Iodine for Hypothyroidism. Journal of Restorative Medicine. https://restorativemedicine.org/journal/promoting-healthy-thyroid-function-with-iodine-bladderwrack-guggul-and-iris/. Published August 3, 2018.